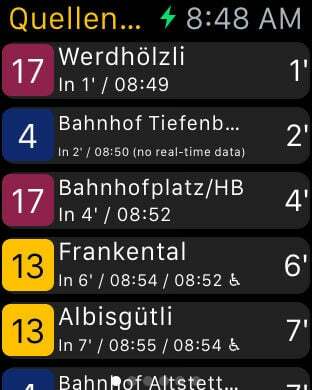 Get the only Swiss Public Transport App with real time data for multiple regions and support for all possible screens on Apple's mobile devices, including Siri support. * Support for real time data (delays) for multiple regions. 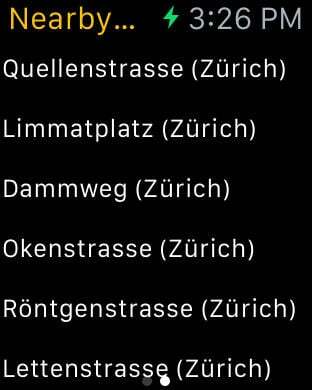 All SBB trains and local transport (Bus/Tram) for the Zurich Area, Lucerne, Berne, Geneva, North-Western and Eastern part of Switzerland and many more. * iPhone App: Departures of nearby stations, favourite stations. See where that connection takes you to. And a map of the ride or the surrounding area. * iPhone Today Screen: See immediately when the next connections leave (with favourites first) without even opening the App or unlocking the screen. * Apple Watch App: All the info of the iPhone Today screen. On your watch. 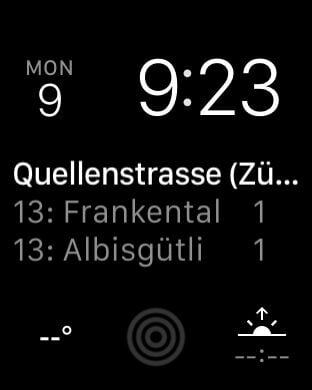 * Apple Watch Complication: Put Time for Coffee! as a complication on your watch face and you don't even have to open or tap anything anymore. * Favourite your stations and/or connections to only see the information you care about. * Tested and proven in real life to make it as convenient to use as possible. * Have more time for a coffee at home or in the office. If you have Apple Watch complications installed, we ask for the "Always" permission for location updates, so that we can update the complication in the background on demand. Also enable in Settings "Privacy -> Location Services -> System Services -> Frequent Locations", it does use this feature and therefore not use lots of battery power, but still may dramatically decrease battery life. If you set the location permission to "While using", complications are still updated, but only every 45 minutes.